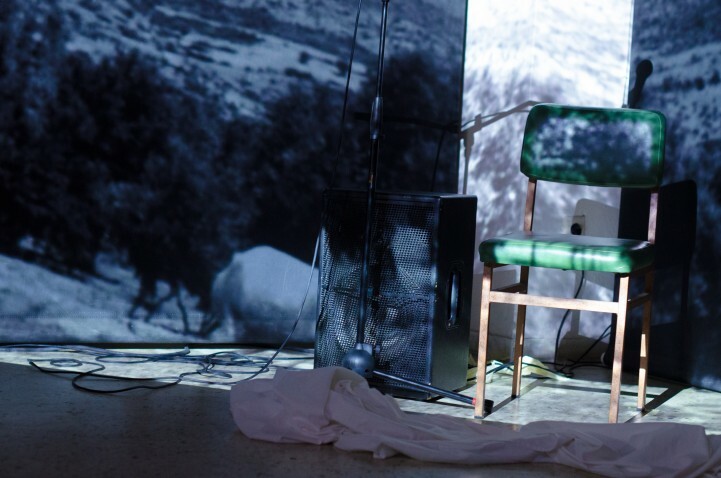 At the end of a single 40 days round of participatory financing, the campaign in support to KET – artistic, social and political scene in Athens has reached a full success. The Goteo platform of participatory financing for the commons and solidarity has transferred to KET (on 19 April 2018) € 8699 € of the € 9158 € that have been collected. The remaining € 459 represent the bank transactions costs and the commission of the platform. The KET Center will thus be able to make all the investments needed for a new development of its activities. Interdemos joins the KET team in thanking all contributors. The support campaign for the KET is open! As planned the support campign for enabling a new development of the KET (a space for art and politics in Athens) is up and running on the Goteo platform of crownfunding for solidarity and the commons! We need to collect a little more than € 5000 in a first round of 40 days, and then – to truly enable a perennial development of KET – an additional € 3500 in a second round of 40 days. Follow the updates on the project on its blog. 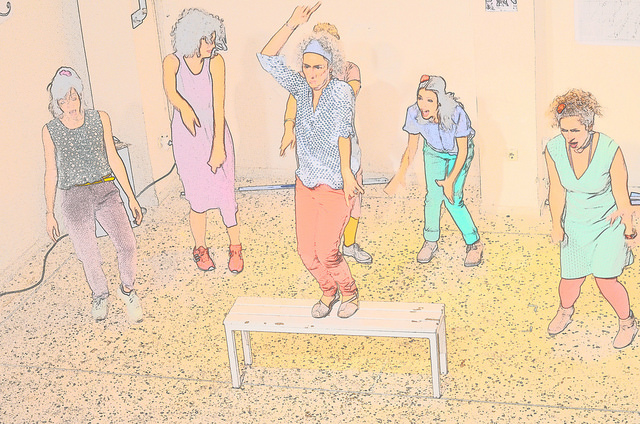 in the Greece crushed by the 3rd memorandum, new initiatives explore the paths of solidarity and cultural sharing. 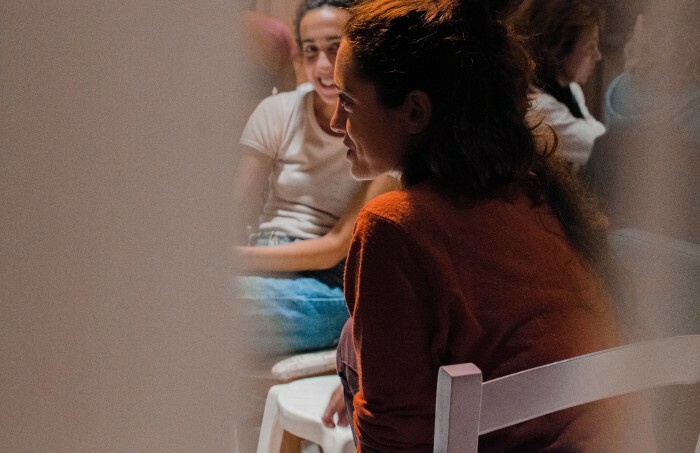 KET, a polymorphic venue according to its founders, is together a cultural scene and a new political space, where almost every evening a musical, theater, literary, public debate or open education event is staged is a lively spirit of sharing. Created more than 5 years ago by Dimitris Alexakis aand Fotini Banou 1)On stage in Reims, France on 12 ans 13 Febrary 2018 where she interprets Guerre des paysages, a play by Dimitris Alexakis by Ilias Poulos directed by Irène Bonnaud., KET is now a key space for the political, social and cultural reconstruction in Athens. Now sustainable thanks to its recognition in Athens’ cultural scene, it must engage in a new development for which INTERDEMOS organizes a participatory financing starting on 9 February 2018 on the Goteo platformfor financing of solidarity and commons. Stand ready to contribute! All the collected funds 2)After deduction of financial transaction costs and the commission applied by Goteo – which at 4% is one of the lowest for all crowdfunding platform. will be transferred by INTERDEMOS to KET. 1. ↑ On stage in Reims, France on 12 ans 13 Febrary 2018 where she interprets Guerre des paysages, a play by Dimitris Alexakis by Ilias Poulos directed by Irène Bonnaud. 2. ↑ After deduction of financial transaction costs and the commission applied by Goteo – which at 4% is one of the lowest for all crowdfunding platform. UniverSSE 2017 is the 4th European Congress on the Social Solidarity Economy (SSE). It is held in Athens from June 9th to June 17th, 2017. Cooperatives, grassroots initiatives of social solidarity, collectives, networks and individuals will meet to promote and advance SSE initiatives accross Europe. In this context, a participatory financing campaign is organized on the Goteo platform which is dedicated to commons construction and social solidarity project. This campaign aims at collecting funds to cover the travel and living expenses of the members of social solidarity and SSE structures as well as some administrative costs. Interdemos invites you to contribute to this project. You can find detailed information on the project, the management and use of the collected funds on the project page on Goteo. the construction of a European demos. Over the coming month we will make it possible for all who wish to join INTERDEMOS as members, launch one or several new solidarity campaigns, make our ambition more visible by expressing it in a number of texts, and give access to the public debate on the future of Europe in an added-value manner. Follow us on this site and on twitter. We relay the video of a a debate (in Spanish) between Manuel Castells (sociologist of the eltarnative social movements and their use of digital technology) and Pablo Iglesias (General secretary of Podemos) organized by the Circulo Bella Artes of Madrid. at the occasion of the publication of a revised edition of Manuel Castells’ book Redes de indignación y esperanza. Interdemos mission statement is to work towards the construction of a European demos, through horizontal links between politicized grassroots solidarity actions in various European countries. We are active on two fronts: concrete (financial) solidarity with grassroots action in Greece (for the time being we focus on this country as its future political fate will play a key role also for other countries) and contributing to the emerging progressive alternatives in other European countries. There is lot to do on both fronts this summer. Concrete solidarity-wise, we have transferred a little less than € 90 000 to Solidarity for All in Greece, thanks to your donations and our own resources. To face the consequences of the bank withdrawals closure 1)With the partial reopening, it is still impossible to withdraw more than € 420 per week. Electronic payments are possible within Greece, but most of the solidarity structures can not receive them., we brought a sum in banknotes to Greece, which will make possible for Solidarity for All to operate for the summer. In addition, we are well in the way of creating a French non-profit association with new members of the board in addition to the initial founders. This association should be able to launch a fundraising campaign at the end of September to ensure a continued support. The collected funds will be transferred using the channels then available. The political action is inseparable from the concrete solidarity actions. 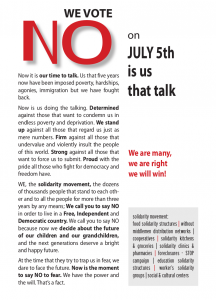 Solidarity for All and our other contacts in Greece played a significant role in the campaign for the NO at the July 5th referendum. They are today at the heart of the efforts to overcome the wound to democracy that the signature of the July 13th agreement represents (see the Wound to Democracy post we have just published). The specific role of France in convincing the Greek government to accept this agreement and even in drafting is most questionable provisions has led us to campaign for the rejection of this agreement when it was submitted to the French Parliament on July 15th. The result in the National Assembly remains disappointing (69 against, among which no MP of the socialist party). We nonetheless were instrumental in avoiding the worse, that is the risk that the only votes against would arise from the extreme right and right-wing MPs. We hope that the creation of an association of which each of you will be able to become a member will permit to this political action to grow in scale and efficiency. The territory of Europe is the seat of a democratic crisis that is now visible in all its intensity. To remain passive spectators would be disastrous. Interdemos will keep acting and working will all those who aim to take back in our hands the political fate of Europe. 1. ↑ With the partial reopening, it is still impossible to withdraw more than € 420 per week. Electronic payments are possible within Greece, but most of the solidarity structures can not receive them. 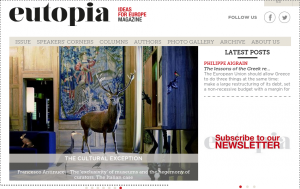 Philippe Aigrain, one of the founders of Interdemos, published today an op-ed in Eutopia – Ideas for Europe on the lessons of the Greek referendum and what is at stake today and this week. Over the last nine days, no effort was spared to try to sow fear and doubt in the minds of Greek voters, and even more to misrepresent events to citizens in other EU countries. The decision of the ECB to refuse to raise the level of support to banks during the brief campaign period for the referendum was a clear political revenge, contrasting with the unlimited support that was given to German and French banks to limit their exposure to the consequences of the crisis since 2009. We cannot say NO to our future. We say NO to those who destroy our lives. This appeal finds many of you already in mobilization supporting the resistance of Greek people. Five-year long struggles against the TROIKA and austerity culminate in a defiant NO to the blackmails of the financial elites and their political servants. All of you understand the critical state Greek people face and that now is the time to take sides. Referendums do not acknowledge grey areas, but demand decisive actions and determination to win. More so when all of you understand that the next day, Greece will not be the same country with the same people. Neither will Europe. This is why now is the time to act. Now is the time to decide about our future, about what kind of Europe do we want, about what kind of Greece do we want. Your mobilization is the only way to counter the fear and deception campaigns launched by European elites and corporate media, and the asphyxiation that undemocratic neo-liberal extremist “institutions” impose on the Greek people, on the EU periphery and on the global South. And we know that the more the fear changes sides, the more dangerous they become and the more united we shall be. The grassroots solidarity movement, on hearing the news of the referendum, mobilized immediately throwing all its forces into the NO campaign. 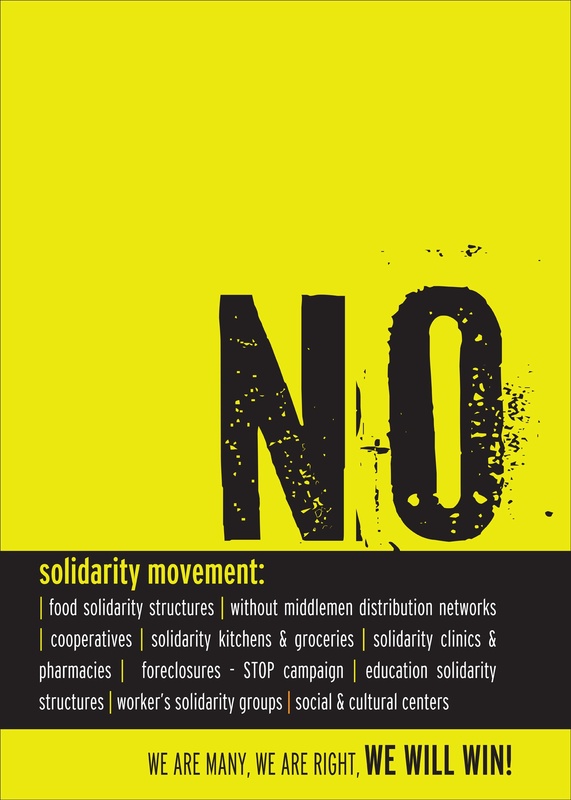 We attach the call of many dozens solidarity structures towards the Greek people and the poster of the solidarity movement’s NO campaign, which we ask you to disseminate. 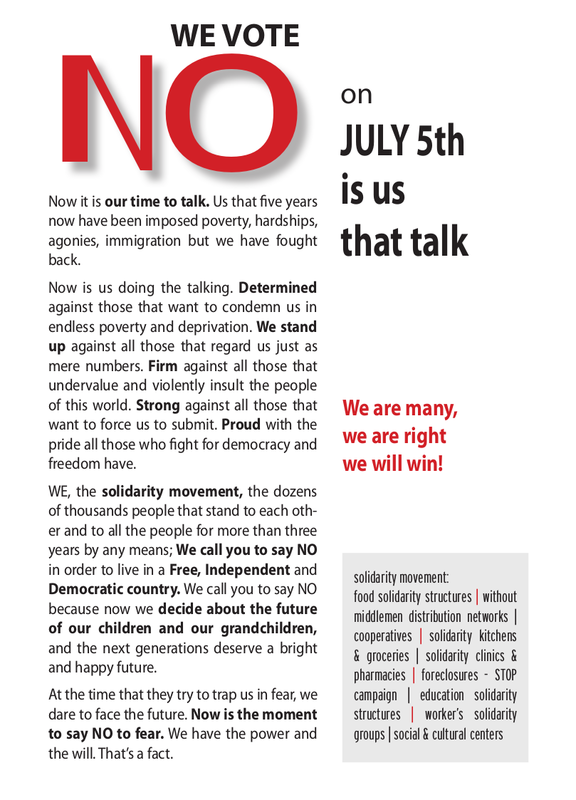 c. organizing solidarity actions in support of OXI (ochi=NO) during this crucial week, culminating in an international action day for NO, next Friday, July 3rd. 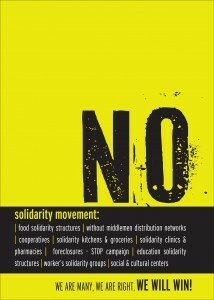 However, as solidarity movement we already prepare for the day after. Whatever the result we will be on the front line. Either to counter the effect of YES, that would make the current humanitarian crisis seem like a scratch, or to meet the demands of NO for building a different society and economy with the participation of the people. Therefore we need, from now on, your solidarity to be concrete and material. We want to thank you for your solidarity throughout these years, which has been decisive in our ability to endure and fight back our common enemies. We are sure that now more than ever you will do your best to win this struggle, spread the hope and build another world together, from all, by all, for all. Two weeks ago, the participatory financing on KissKissBankBank ended, and as the stated goal of collecting € 300 000 was not reached, the donations were reimbursed through the bank card used by each donor. We then called to transfer directly the amount of donations to the bank account of the Fund of support to the initiatives and structures of social solidarity in Greece. As we write, we have been notified of bank transfers representing close to € 45 000 that is 38% of the amount collected on KissKissBankBank. This sum includes a significant support originating in the Interdemos group itself. Many donors on KissKissBankBank have not yet been able to check that they have been reimbursed. Others may have been deterred by the bank transfer procedure, even though we have been able to help everyone who contacted us because of a difficulty with the transfer to overcome it. We trust that with a continued effort of rallying the community that the first phase helped to constitute, it will be possible to come close to or even increase the amount collected in the first phase. Some people have increased their donation and other people did a bank transfer while they had not contributed on KissKissBankBank. It you are in contact with original donors or with people committed to the concrete solidarity with Greece and to reopening the European future, please encourage them to make a bank transfer. In early May, we will send again an email to all KKBB donors to incite them to make a bank transfer. Until then, the campaign will proceed only through the @interdemos twitter account, this blog… and each of you. In parallel we will publish news about the situation in Greece (two of us will go to Greece this week).